In most states, after a person is convicted of a felony, he or she will lose certain rights. In Florida, if someone has been convicted of any felony offense, it becomes illegal to possess a firearm or ammunition under state law. Florida law provides for harsh penalties for unlawful possession of a firearm. The charges for possession of a firearm by a convicted felon can carry serious penalties, including jail time and fines. It is important to understand what you are facing and know how you can protect your freedom. The charges may seem overwhelming, but a Tallahassee gun crime attorney can help you protect your rights. Weapons and firearm charges can carry severe consequences, especially if you already are a convicted felon. If you have been charged with possession of a firearm by a convicted felon, contact the experienced weapon charges defense attorneys at Pumphrey Law. The Tallahassee firearm defense attorneys at Pumphrey Law will fight for your rights. 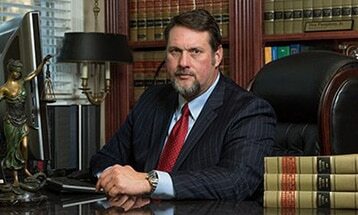 The skilled team of attorneys will examine all the evidence in your case and aggressively represent you. The attorneys understand the sensitivity of your situation, and they will work to help you get the best possible result in your case. Call (850) 681-7777 to discuss your case and schedule your free consultation. Pumphrey Law represents clients throughout Tallahassee and the surrounding areas, including Gadsden County, Wakulla County, Liberty County and Jefferson County. Florida Statute § 790.23 prohibits any felon or juvenile delinquent from possessing a firearm, ammunition or an electric weapons or devices. This means once a person is convicted of a felony, he or she loses the right to possess those items. In these cases, possession could be actual or constructive. Actual possession means the weapon or other illegal item was found on the person, such as in the alleged offender’s pocket. It also could mean it is within the person’s reach, meaning it is under his or her control. Constructive possession means the firearm or weapon is found in a place where the offender had control or in which it was concealed. For example, if a firearm or weapon is found in the glove compartment of a felon’s car, it could be considered constructive possession. The statute also prohibits a convicted felon from carrying any concealed weapon, including a tear gas gun or chemical weapon or device. These types of firearm charges are aggressively prosecuted throughout Tallahassee and Leon County. By its own terms. Florida Statute §790.23 does not apply if the person was convicted of a felony, but then his or her civil rights were restored. This means the person then could be allowed to legally possess a firearm. There are several terms that are vital in determining the charges for possession of a firearm or weapon by a convicted felon. For instance, the term “convicted” means a judgment has been entered in a criminal proceeding by a court pronouncing the accused guilty. Under Florida Statute § 790.001 a “firearm” is defined to include any weapon which is designed to or may readily be converted to expel a projectile by the action of an explosive. The definition includes the frame or receiver of any such weapon, any firearm muffler or firearm silencer, any destructive device or any machine gun. The term “firearm” does not include an antique firearm — one manufactured in or before 1918 — unless the antique firearm is used in the commission of a crime. An antique firearm also could refer to one for which ammunition is no longer manufactured in the United States and is not readily available in the ordinary channels of commercial trade. The term “ammunition” means an object consisting of a fixed metallic or nonmetallic hull or casing containing a primer; one or more projectiles, one or more bullets or shot or gunpowder. If you are charged with a serious firearm crime, such as unlawful possession of a firearm by a convicted felon, contact an experienced criminal defense attorney at the Pumphrey Law The Tallahassee firearm defense attorneys at the Pumphrey Law will fight for your rights. Call (850) 681-7777 to discuss your case and schedule a free consultation.